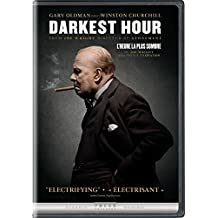 Darkest Hour tells the story of how Winston Churchill came to be British Prime Minister at the height of WWII. I found the story quite fascinating as it’s not one that I had ever heard. I don’t think that British politics and British history were really taught in Canadian high schools, so it was interesting to learn of Churchill’s path to the Prime Minister’s office. Darkest Hour was up for several Oscars, winning for Best Achievement in Makeup and Hairstyling and Gary Oldman took home the Lead Actor award, the film was nominated for Best Picture, Cinematography, Costume Design and Production design. Oldman certainly delivered an excellent performance, while heavily made-up to look hauntingly like Churchill. That Makeup and Hairstyling award was very well earned, but sometimes I’m torn when someone wins an award for playing the part of a real person, especially a famous historical figure. When the audience is familiar with the person there is an expectation of what the performance should bring. We know what Churchill is supposed to look like, how he should walk and how he should talk. Is there much room for interpretation by the artist? We would cry foul if Churchill all of a sudden spoke with a French accent or only spoke in rhyme or something else completely and ridiculously “non-Churchill”. When playing a figure like that, does the artist just have to follow the template? Oldman’s Churchill was believable to me, and he brought great emotion to the role, and I suppose that’s what any award is recognizing in a way. The rest of the cast was very good as well, though I didn’t really know the significance or the true roles played by some of the political figures. I don’t know if Lily James’ secretary character was real, a combination of several real people who surrounded Churchill, or completely fabricated for the film, but I felt she gave an excellent performance as well. Overall the film was good, and I enjoyed the story. It was obviously quite serious but it managed to mix in some humour, and at the end some fairly emotional and heartfelt scenes. The pace was a little slow, which is kind of to be expected with the dry subject matter it was covering, but the end result was worth the wait. Bottom Line: Spoiler alert: WWII? We win.